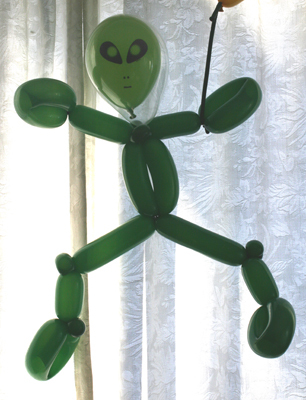 I have some special balloon creations that will keep all the kids at your party laughing and happy including Aliens, Space Kitty, Spider-Man, Elmo, flying butterflies, and a balloon bow and arrow plus some fun face, cheek and hand painting. 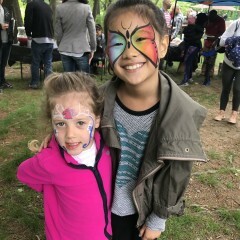 Our entertainer did great work with the face painting & balloon art but I expected enthusiasm to get the kids excited to line up. She was very sweet but there was no announcement made when she was ready to begin. I would also have liked for my daughter to go first since it was her special day but she ended up in line waiting. I would book again but maybe would need to express what I am looking for & my expectations. Doug was fantastic to work with! He patiently answered all of my questions before booking, was on time the day of the event, and made amazing balloon art! Would enthusiastically recommend him! The original entertainment for my son's first birthday backed out 2 days before the party and left us scrambling. I put in the party info on GigSalad and within 10 min, Doug had contacted me and sent me a reasonable quote. The day of the party Doug arrived and hit the ground running. All the kids loved him and loved the balloon art he came up with. The hit of the party had to be the balloon bow and arrows. Over all Doug was a great find and will be a great addition to any party. Will be contacting him again. I had Douglas at my 5 year old birthday. All the kids as well as the grownups enjoyed the facepainting the balloon making and the magic show. Thank you Doug for giving us a great time. The vendor was very professional and great with kids, who took complete advantage of her and kept on asking for more and more balloons. It was a 100 degree day and Doug did excellent. Doug came and set up before the time he was supposed to be here. Very nice and kind to the children - great balloon animals and face painting. High recoended. Very competitive pricing. Overall great experience. Doug was great! Showed up earlier than I expected. Even rearranged his schedule to get there at 3 for me! Kept the 44 kids between ages 1-8 entertained and they all loved it! We booked Supernova for my daughters Communion and he was professional, patient on time and accommodating from our first call all the way through the event. The kids enjoyed the balloons and face painting. Doug is wonderful with children and extremely talented. Our caterer cancelled an hour before our event (40 adults and kids) and Doug was willing to come early to entertain our kids while we figured out a menu. While I was busy in the kitchen he jumped right in and started making amazing creations for our 3 year old birthday girl and one year old son. These were truly the best balloons I’ve ever seen. He made a balloon bow and arrow that functioned perfectly and is still providing entertainment for us three days later. Our little guests loved him so much we kept him an additional half hour. We would highly recommend him for your next event. Dough, was so much fun and he entertain all the kids , the balloons were cute and some unique. 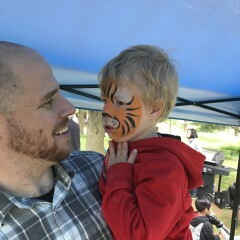 Also face painting was great. I will definitely use SuperNova Dough for a future party . The kids loved the balloons! 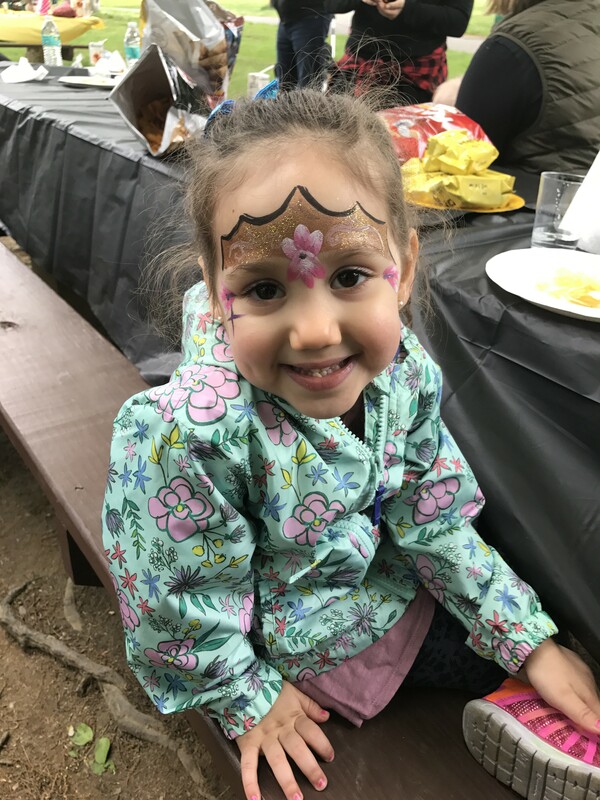 Thanks for helping us put together a wonderful birthday party for our five year old! Thank you so much for entertaining the kids at our baby shower. 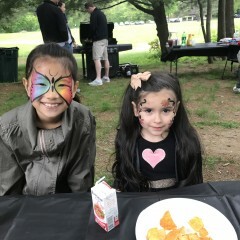 They loved the balloons and face paint and thought it was the best! So so easy to set up as well! Party went really well, Doug was able to keep 8 toddlers attention for 30 minutes! I would definitely recommend super nova balloons. 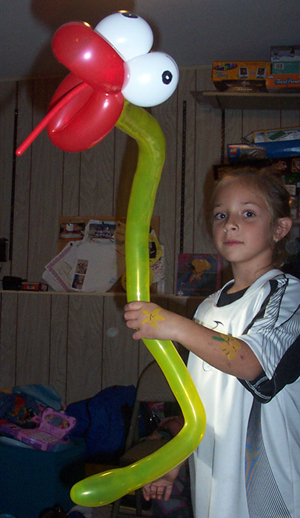 Jaime was a terrific ballon artist and face painter. She did an awesome job. Doug was punctual and great with the kids. They had a lot of fun. Hired for my 5 year olds bday party. Kids were engaged and loved it! Would recommended. Doug was available and reliable. Thank you for doing such a great job with the balloons and face painting! The kids and parents were thrilled! The kids (and parents) were very happy! Thank you for the fun show, great balloons and face painting. It was a special day for the kids and the adults also had fun! Jamie did an excellent job at my son's 4th birthday party! She had a sweet presence and extremely talented in face painting and balloon twisting. The kids absolutely loved her and her work! Awesome!! Kids lived every minute!!! We hired Doug for my daughters 1st birthday. We had about 20 kids and I wanted to provide entertainment for them. Doug did face painting and balloons, all the kids were super excited and enjoyed every minute, I even asked him to stay longer. Super friendly and engaging. Will invite him back for next years party!!! Thanks again Doug!!! Loved how fast and professional Jamie was . The kids loved every moment. Would defiantly book again for my next party. SuperNova balloons made my son's birthday party so much fun. The face painting was beautiful and the balloons were right on point. He arrived early to set up and was friendly and professional. I recommend him as a MUST for your party or event!!!! The kids had a lot of fun with their balloons, and the face painting was well done, the kids enjoyed it! Doug came through with flying colors...literally! At the last minute Doug accommodated me for my daughter's 4th bday party at her preschool. The kids enjoyed him immensely and his patience is remarkable. Thanks to SuperNova for saving the party! Doug was great - his face painting and balloon making was enjoyed by all the children and grown ups! The kids really enjoyed the show! Thank you SuperNovA Balloons!! 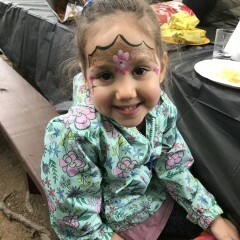 Our daughters 6th birthday party was so much fun and wouldn't have been the same without Shannon. Her face paintings were so beautiful - all the parents were commenting on what an amazing artist she is! I'm so glad Shannon was available last minute after our balloon guy has to cancel. Thank you SuperNovA! We will absolutely use you for future parties! Doug was on time, friendly and patient with the kids. Doug arrived on time and engaged he children from the moment he arrived. The magic was so fun and my son and his friends and brother (and the parents!) enjoyed the show. Thank you! SuperNovA Balloons did a great job at a very busy festival. Doug came right on time and he was great will all the kids. We had a lovely time with Doig yesterday. He was fun, funny, professional and efficient. He managed to face paint & create a custom balloon for 10 girls in 1 hour. They had a wonderful time! Thanks Doug! Patient, amicable, good natured. One of the best children's party experiences! A def hire. Thank you!!!!! Great work and nice and professional! Shannon did a great job with the kids! Everything went well. The children were well entertained and happy. My only issue is that I requested an invoice because we paid in cash and never received one, but that's minor compared to the success of the day. It was a hot day but they came on time and the kids really loved the balloons and face painting will definitely hire them next year! 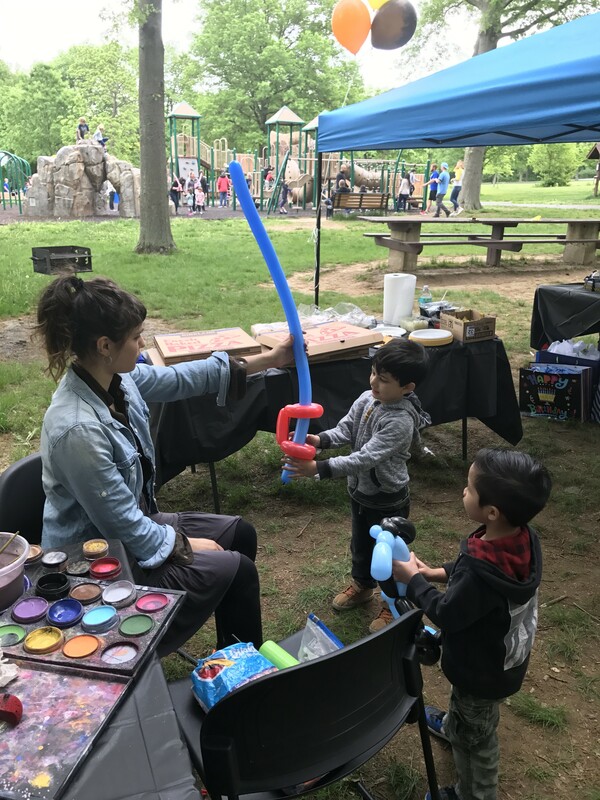 Quick and great face painting and ballon twisting! The children and parents were very impressed with how quick and great the facepainting turned out! The kids also enjoyed the magic show and the balloon twisting! SuperNova balloons kept the kids entertained, very kid friendly and communicate well with parents. Everyone was impressed! We would recommend and use Super Nova balloons again. We had 40 kids walking around with fun balloons and adorable face painting. I highly recommend them. Girl was so sweet and did a fantastic job! Was great with the 30+kids and handled them like a trooper. 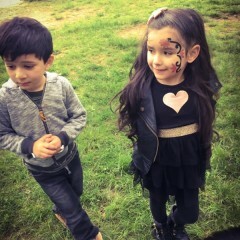 The kids LOVED the face painting and LOvED the balloons animals. Not just your ordinary face painting and balloons. Was perfect! Mr. Doug was on time and very professional. Kids loved him and his work. I would definitely use his services again and recommend him to my friends. Jamie was great. Her nice and friendly demeanor made her very approachable by the kids. Her balloon work & face painting skills were impressive. We hired SuperNova balloons for our daughter's first birthday. We had approx 10 - 15 children here ranging from ages 1-7. 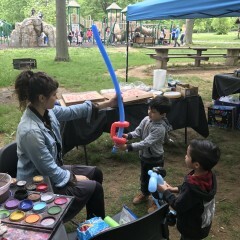 Jaime was our face painter and balloon artist and the kids really enjoyed it :) Very easy to work with, and very responsive would highly reccommend! 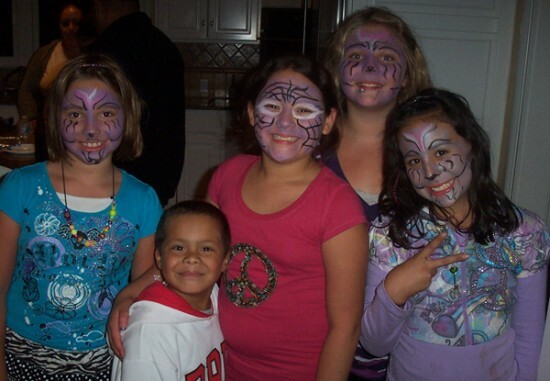 I contacted supernova last minute to do a party the next day and Doug made it work he came and the kids were blown by the balloons and face painting Doug was doing! They loved Doug! We just had SuperNovA Balloons at my daughter's 5th birthday. Doug was great! The kids responded very well to him and they had a great time. He was very generous with his time and spirit. Balloons were great and the kids loved the face paint! I'm happy to recommend SuperNovA! Great Entertainment for the kids! Thank You! We hired Doug to entertain a bunch of kids while the adults enjoyed a birthday party upstairs. The kids loved it. He did balloons, face painting, and magic. The kids were very entertained and busy and left us alone. He was on time and everything went as advertised. Communication was easy and straightforward - couldn't have been easier or better. Thanks. Nice job.. though more geared towards kids younger than 6 years. I hired SuperNovA Balloons to keep 16 kids from the ages of 3-9 entertained during my son's 1st birthday party and WOW! did they deliver. The arrived on time and got right to work with the face painting. The artist (I can't remember her name..she was the owner's daughter thou) was so talented and the kids all had the most intricate designs - some even with glitter! Then it was time to move on to balloon twisting and some of the things she was able to do blew my mind. she made my son "elmo" which he loved ..others got a bow and arrow, monkey climbing up a tree and she even did a dog with a balloon head inside a balloon! was super cool. everyone commented to me how great it was and how impressive and they even said they want to hire her for their kids parties. If you are looking for a reasonable priced vendor who is super talented, efficient and professional, look no further. Hire SuperNovA today!!!! oh and I forgot to mention they were the 1st pne to respond and the owner followed up with a call...super easy to deal with, great pricing and very professional! The kids had a great time and enjoyed the balloons and face painting. I would happily book again! Doug did a great job at our event. Doug was great! The kids were thrilled with their balloons and face paint. Will definitely use him again and would recommend him to anyone. Great Ideas For All Children's Parties! 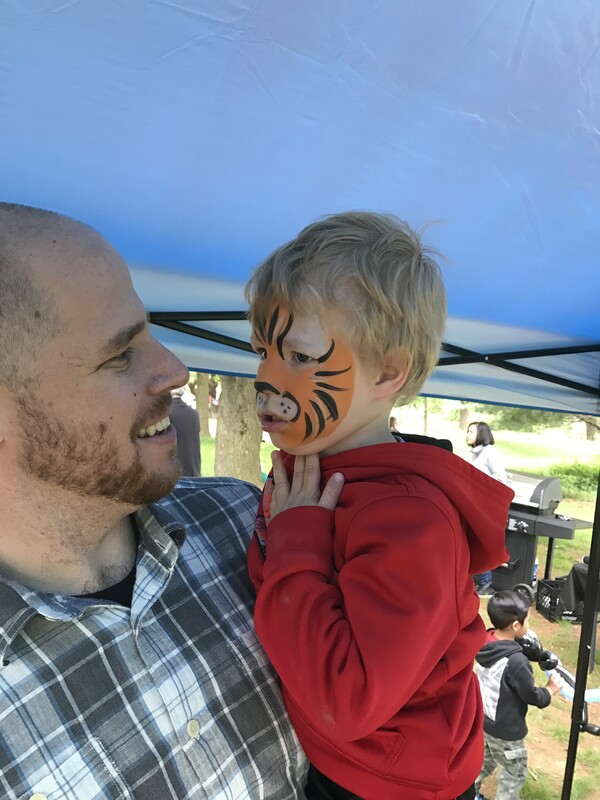 I had Doug come and do ballon making and face painting for a group of about 10 toddlers for my daughter's 1st birthday party. Very enthusiastic and professional. Great experience and would recommend for kid parties. Thank you! First of all, supernova is very thorough and keeps in touch so that makes them very easy to work with. Our entertainer Brady was great! She kept them entertained and well behaved! What else can I ask for? Thanks again for keeping the kids happy and making the birthday boy feel special. Overall, we couldnt be happier. Prompt, professional and proactive. Excellent job. Will use again. I'm so glad I booked SuperNovA for my sons fourth birthday party! There were kids between 2 months and 14 years, and they all enjoyed the balloons, the face painting, and magic show! Even the adults became involved watching the magic! Doug was very professional and entertaining! Thank you for a great party! Doug did a excellent job I would recommend him for any kid party he was on time he work was superb .... just excellent! Doug was great. He was very good with all the kids and very entertaining. He was a blast. I hope to enjoy his services again. We had a very successful birthday! Doug was professional, polite and kind to the guest. The children were happy and entertained! On time, straight to work, no fuss. Kids loved the balloon creations and the face painting was creative with fresh ideas. 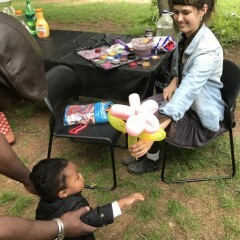 The balloon making was well received by all ages; from 2 years to too many years. Magic show thrilled both children & adults. Doug did a fantastic job at my daughter's second birthday party this weekend. He was prompt, efficient (with the line of kiddies wanting balloon animals and their faces painted), funny and talented. Would definitely recommend him and use him again for future parties. Doug was very professional. My son likes the balloons he made and the facepainting that he did to him. He is highly recommended. Doug was great with the kids, even letting them "help" by filling water, etc. 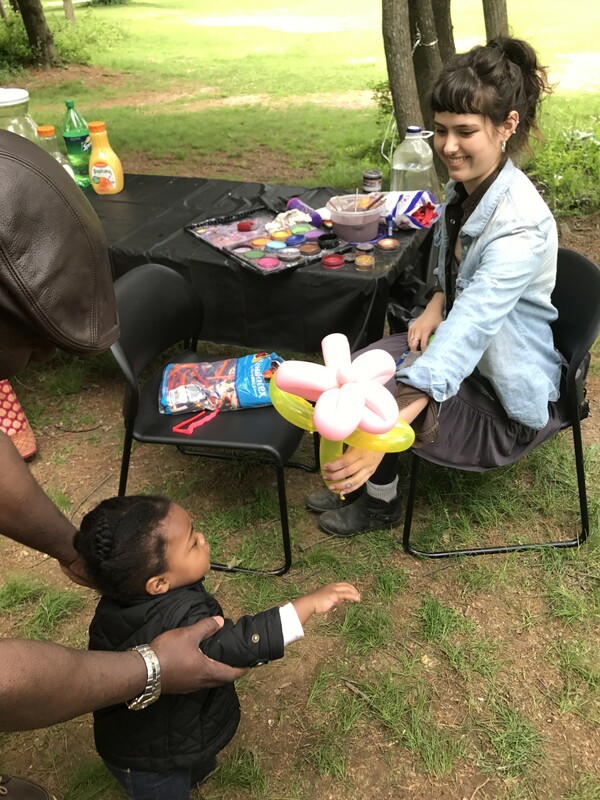 All of the kiddos enjoyed their balloons as well as the face painting. Thanks for helping make the day successful! 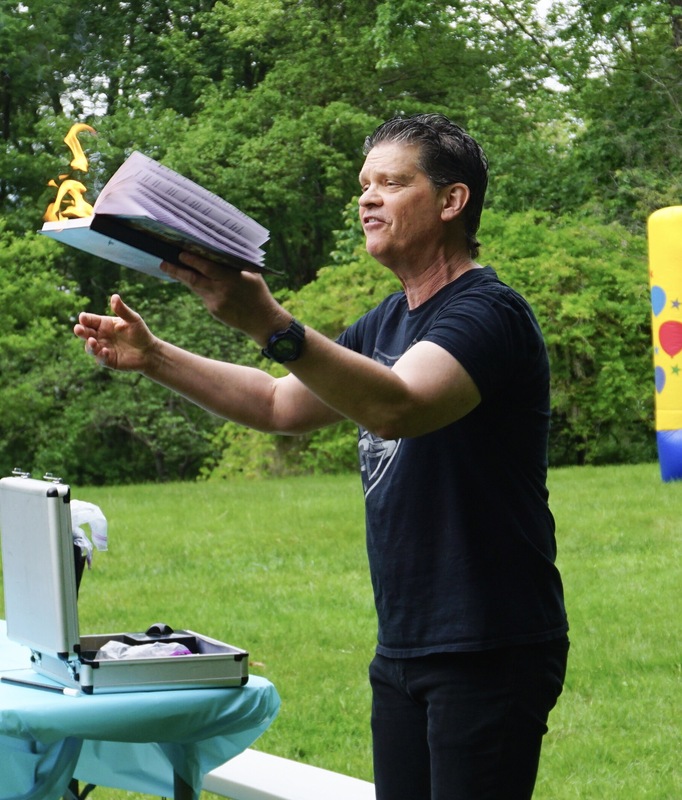 All the children at my twins' 6th birthday had a blast with not only the wonderful balloon creations, but, also the magic show. Highly recommended!!! Very impressed and satisfied with the services. 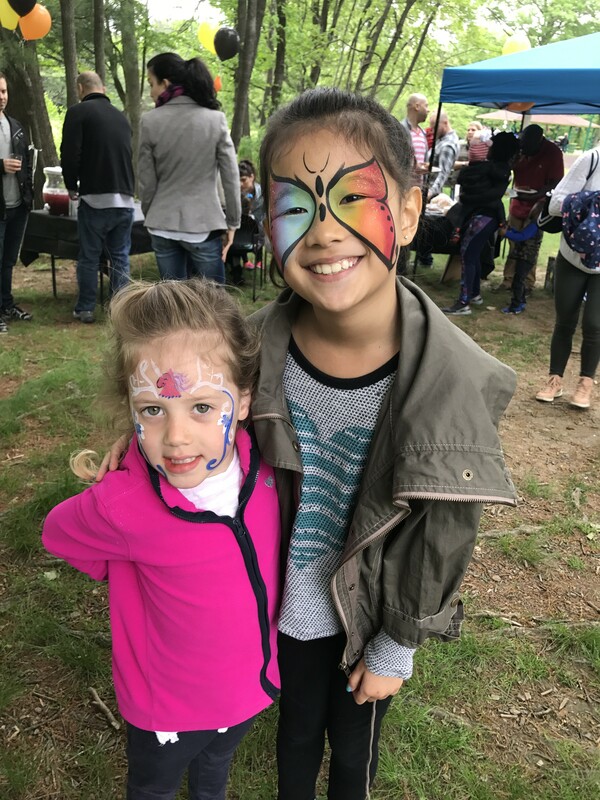 Everything was very smooth, from booking the event, payment arrangements, entertainer arrived on time, she was super friendly with everyone, the kids enjoyed every minute from face painting to the making of balloons. The smiles said it all. Price was exactly as quoted. Very professional and very highly recommended. Awesome job! 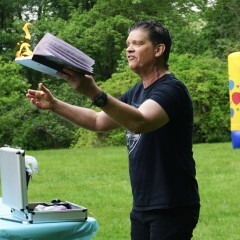 Doug entertained 20 children with balloon twisting, face painting, and magic for two hours. All of the children were thrilled and had a great time. Doug is very approachable and talented. I will hire him again for our next family event. Our job is to bring smiles to the faces of kids and adults alike. We have been doing this for a long time and have many repeat and referral customers. We hope to come to your party and make it a super fun party. Hi I'm Doug with SuperNovA Balloons. We like to bring smiles and laughter to every party we perform at and that's what we do! 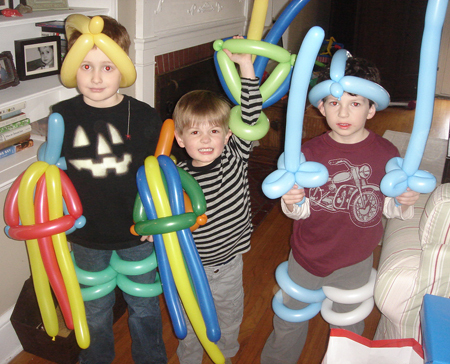 Balloon Spider-Men, Aliens, giant flowers, fantastic animals Wolverine Claws and more appear from our hands. 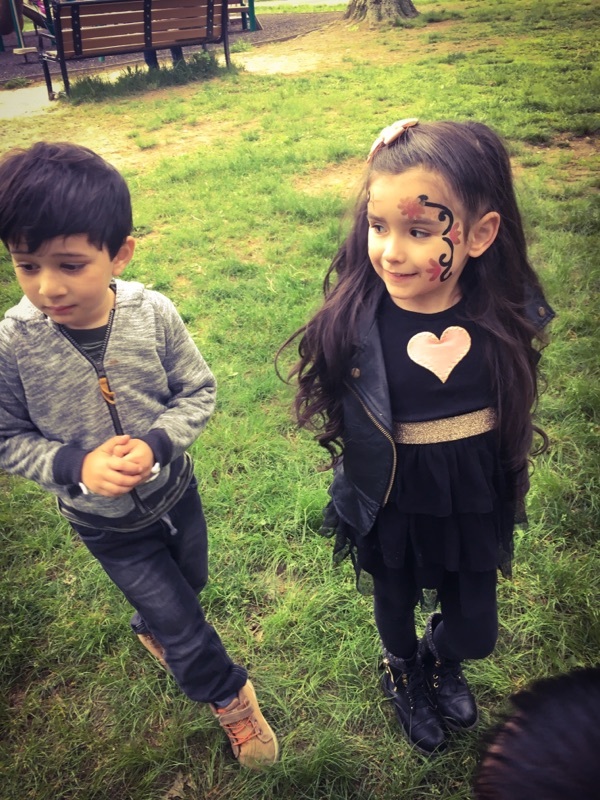 Kid's faces are transformed into butterflies and superheroes, their arms and legs become dragons or rainbows or flowers with a brilliant palette of non-toxic, easily washable face paints. Guaranteed to be a super fun party everyone will remember. We are fully insured and ready to have a good time! 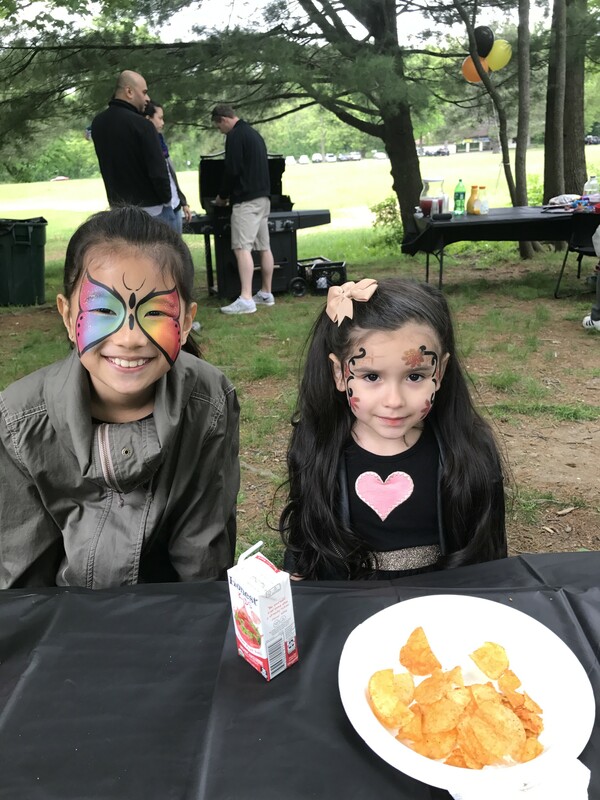 We will entertain at parties and events in New York, New Jersey and Connecticut, at your home or in a restaurant or other facility. Hope to see you at your party! 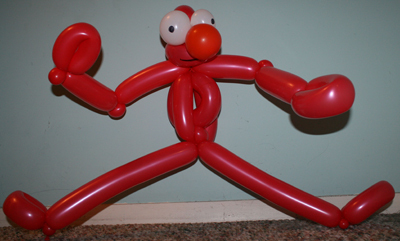 I have learned from some terrific balloon twisters and face painters and have also created my own unique and original characters.